As Jade put on her helmet, I searched for something to hang on to. 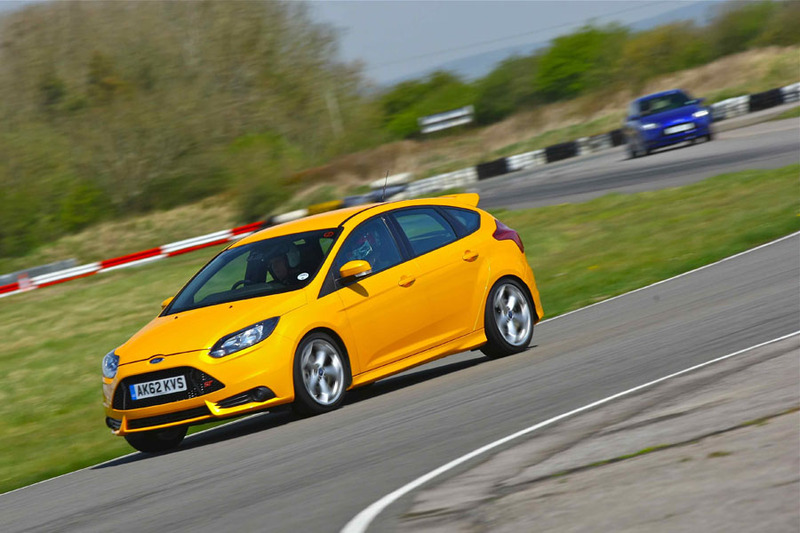 The light went green, our Focus ST left bats out of hell standing and we hurtled towards the first corner on the Llandow Circuit. We went sideways, then straight and flat-out. The tightest of tight chicanes headed our way; I’ve no idea how we got round it, but it involved bumping straight over a big kerb. I just about managed the rest of the lap without closing my eyes, although I wished I hadn’t had lunch. Then it was my turn. I’ve done quite a bit of track driving, including drifting Mustangs around the track in Detroit, and I love it. But I’ve got zero talent and too much imagination. I’m always terrified, not only of hurting myself, but also of the embarrassment of being the only hack to damage a car. So I like to have an instructor to show me how to get the best out of the car and track (and it gives me permission to go faster). By the end of a few laps, I really felt I was getting into the rhythm and my speeds were climbing, but Jade probably reckoned she could jog faster. 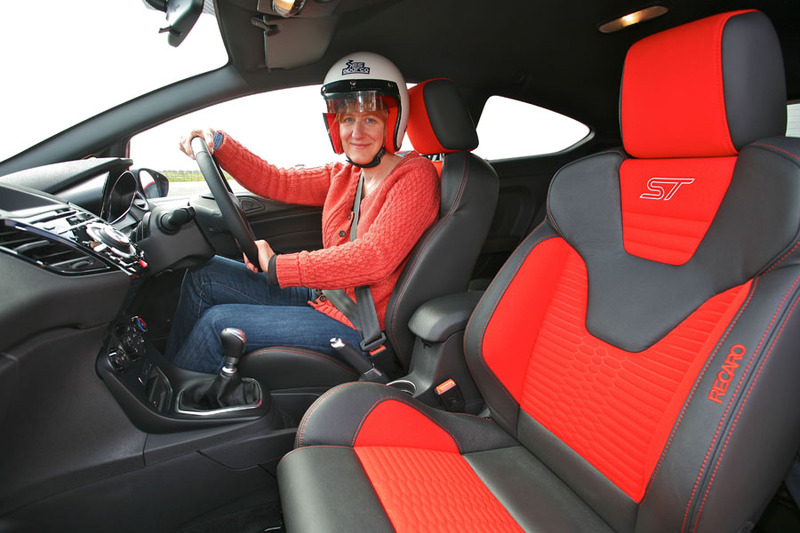 Next I had a go in the Fiesta ST, and it was excellent fun. We had some entertaining drifts and wheel squeals, but I always felt very safe and in control. Motor sport is the Edwards family's passion. Jade’s grandfather Jim Edwards Snr races and her dad Jim Edwards Jnr won the Clio Cup Championship in 2000 before going on to drive in BTCC (click here for an incredible overtaking manoeuvre). Jade and her sister Chloe have both raced in the Ma5da MX-5 championship: Chloe isn’t driving at the moment due to funding, but this is Jade’s third season. She’s been on the podium from a field of 85 (mostly men). As with all racers, finding adequate funding is tough. Jade's main sponsor is lingerie company HANRO of Switzerland (click here for UK website, or you can find the brand in Harrods, Selfridges, Fenwick and Hoopers stores). She also works, sometimes seven days a week, as a freelance instructor at tracks around the country including Brands Hatch and Thruxton. 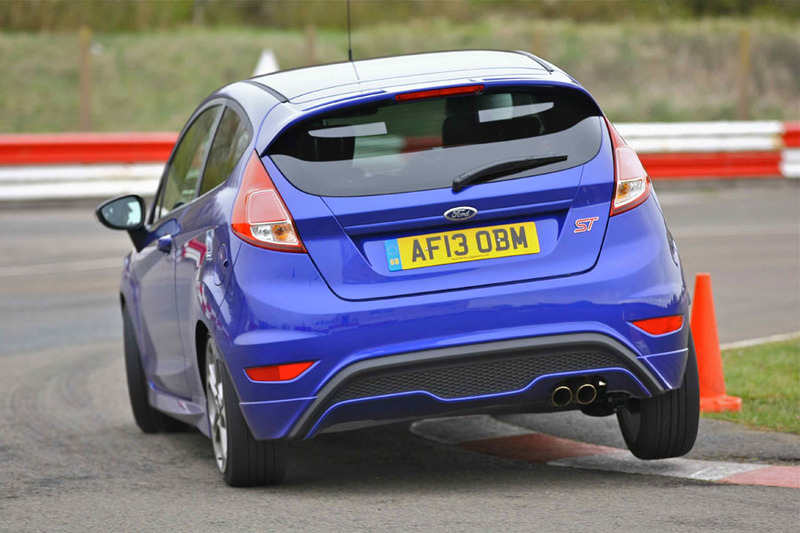 This week she’s the only female member of the team showing journalists what the new Focus and Fiesta ST can do. She admires Danica Patrick, who ‘handles herself well in the pits’ as well as beating plenty of redneck boys on the track.